Few people know that not only beer, glass and shoes are very qualitative in the Czech Republic, but also is the cinematography! Yes, it is true! Cinematography in the Czech Republic develops rapidly and there are more and more films shot in the Czech Republic. This country has a unique location for the film industry: in such a relatively small area, contrasting sceneries are concentrated – from the magnificent architecture of Prague to the Czech picturesque villages. Prague in movies can be given for old London, Vienna or America of our days. That’s why, the territory of the Czech Republic is desirable and attractive to producers from all over the world as a film set. For most foreign producers It is enough to bring only the director and the main actors to the here and highly qualified Czech filmmakers will do the rest. 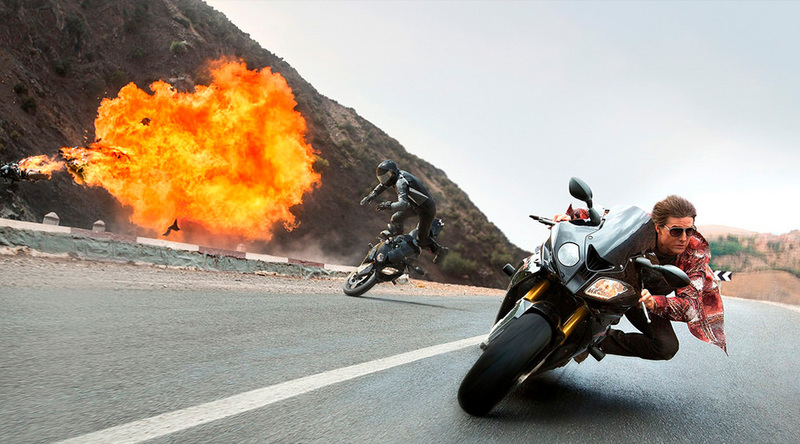 One of the most professional stuntmen, assistants and operators are concentrated in the Czech Republic. Cinematography in the Czech Republic focuses on the famous Czech film studio “Barrandov”, where was shot more than one movie masterpiece. We have made a list of films shot in the Czech Republic, and you did not even know it! American thriller, the horror of Jack-the-Spinner in the title role with the famous Johnny Depp. Prague perfectly played England, shrouded in fear and gossips about a mysterious killer! A guy without a memory, lost in the Mediterranean, finds his real passport with the name of Jason Bourne and understands that he is being hunted by a murderer. He has to understand who wants to kill him and he must escape from this! The action was completely filmed in the Czech Republic, at the film studio Barrandov. Who does not know the film about Van Helsing, the vampire killer? Detective story was filmed in the Czech Republic, which the director gives out for the medieval Transylvania! Of course, this film is far from biographical, but this doesn’t make it less interesting! Not only that the shooting took place in the film studio “Barrandov” and in Kutná Hora, as well as a lot of Czech actors took part in the film. A film about the legendary maniac, serial killer Hannibal Lecter was filmed in the Czech Republic: Prague, Brno, Kostya Castle. The Czech Republic has perfectly approached the role of post-war France and Lithuania. And the famous 21st Bond was filmed in the Czech capital and Karlovy Vary. If you will pay attention, you can see Prague Ruzyne instead of Miami airport and much more. The film, which shows events from the Second World War, and tells about the operation “Anthropoid” during which members of the Czech resistance killed Reinhard Heydrich. The filmmakers managed to accurately recreate the historical atmosphere of that period. Of course, the movie was completely filmed in the Czech Republic. If you have never been to the Czech Republic, we advise you to watch this beautiful film! Cinematography in the Czech Republic has a lot of pictures shot: “Chronicles of Narnia: Prince Caspian”, “Particularly dangerous”, “Illusionist”, “Omen”, “Oliver Twist”, “Hostel” and others. We shared with you, in our opinion, the most interesting and exciting of them! But in order to personally walk through the places of filming (in Prague the special tours is being arranged) – we invite you to visit one of our programs! MSM makes the learning languages ​​not only useful, but also interesting! See you in Prague!